The SFRA Review, Number 285 (Summer 2008) prints a thoughtful and lengthy review of my book, A Critical History of Dr. Who (1999) on pages 14 and 15 this month. 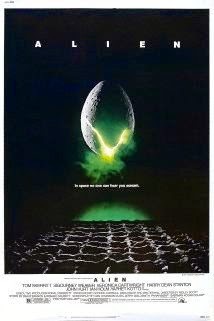 The Science Fiction Research Association, according to Wikipedia, "was founded in 1970 and is the oldest, non-profit professional organization committed to encouraging, facilitating, and rewarding the study of science fiction, fantasy literature, film, and other media. The organization’s international membership includes academically affiliated scholars, librarians, and archivists, as well as authors, editors, publishers, and readers." "In addition to screening the episodes and talking about things like cinematography, story structure and special effects, Muir discusses behind-the-scenes players and the politics of the show. Muir links many stories to other TV shows and films, revealing an impressive breadth of knowledge that contextualizes the show and draws useful connections." 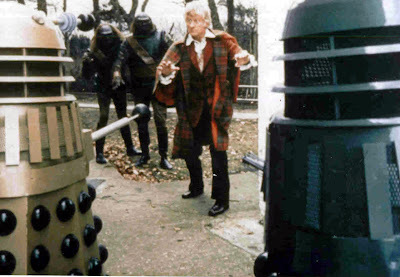 Muir's listing of "The 20 Best Episodes of Doctor Who" may be taken to task by some fans - I noted with disapproval the omission of 1970's "Inferno" - but Muir's intent is to show the program's "quintessential characteristics" in episodes that are available, and a glance at the 20 best reveals not a bad one in the bunch." I must say that as the author of this book, I also deeply appreciate that reviewer Karen Hellekson notes that the book has not been updated in this 2007 reprint edition. I was not given the opportunity to update the text, alas. Oddly, some notable and respected film magazines failed to acknowledge this simple fact in their critiques, and actually reviewed the book on the basis of 2008 knowledge; essentially faulting me for failing to note the new series and other 2000-2008 franchise developments. "I find this book useful as it is: an informational tour, taken in 1999, with a witty, well-read guide, with entertaining pictures. It's a great beginning place for an overview on classic Doctor Who." Hellekson concludes the review with the thought that A Critical History of Dr. Who on Television is a "must-have" episode guide for fans. 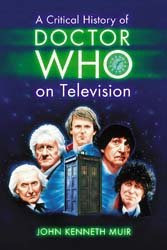 A Critical History of Dr. Who on Television is available at McFarland here. Or order A Critical History of Dr. Who on Television at Amazon. Any chance that you'd post that top 20 Classic Who episodes online? I bet you'd get a sizeable crowd from Reddit and/or Digg if you did! If I did post them, I'd feel compelled to explain my choices.